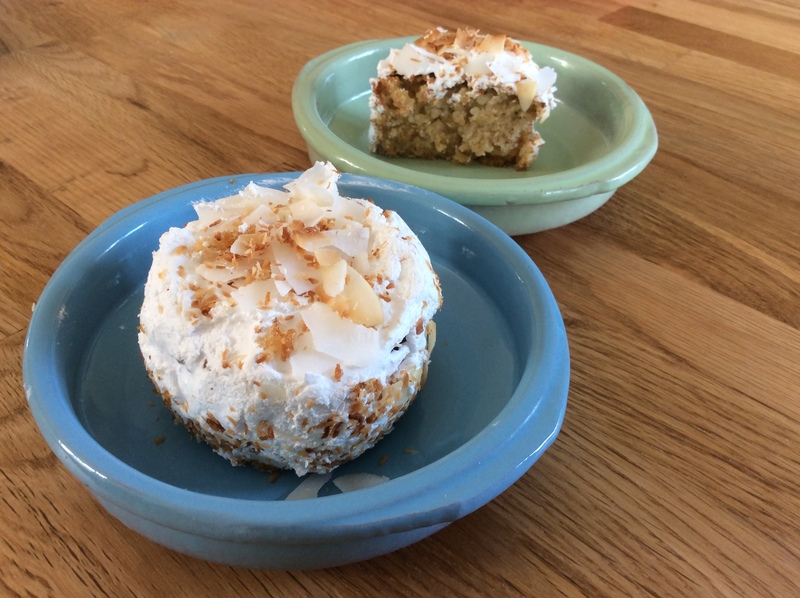 Pineapple and Coconut Cakes topped with meringue icing and toasted coconut. 1. 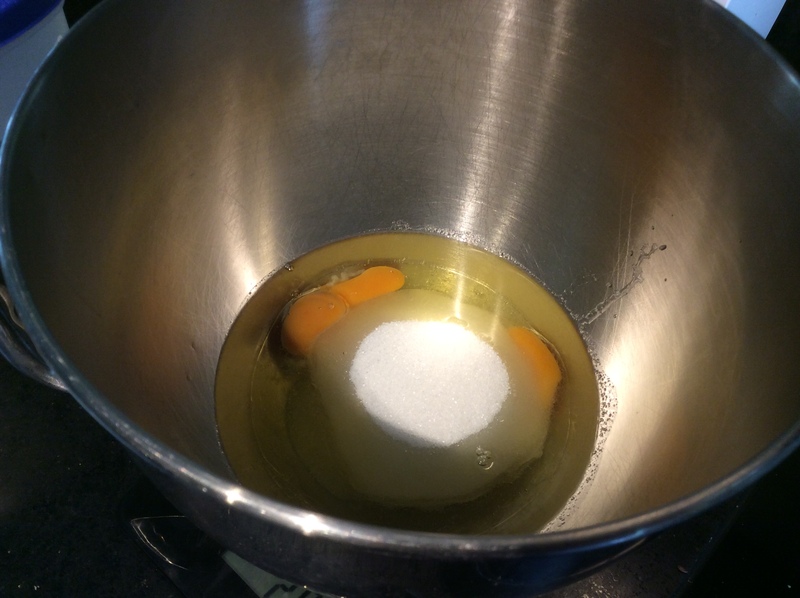 In a bowl mix together the sugar, eggs and oil until they are combined. 2. Preheat the oven to 170 degrees Celsius. 3. 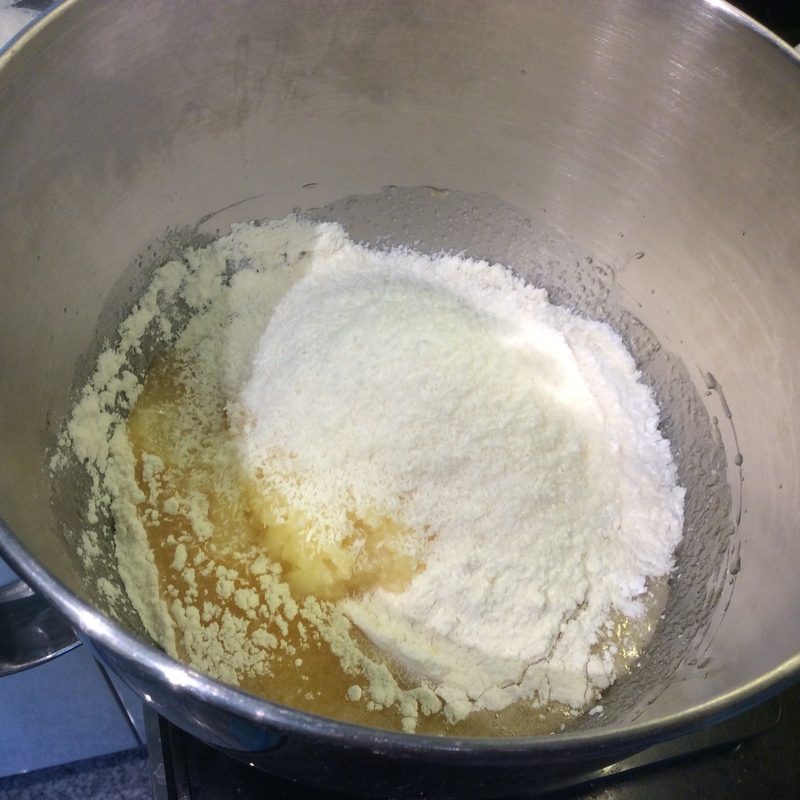 Add the dry cake ingredients; flour, baking soda, baking powder, pinch of salt and the vanilla extract, stir one or two times to slightly mix. 4. 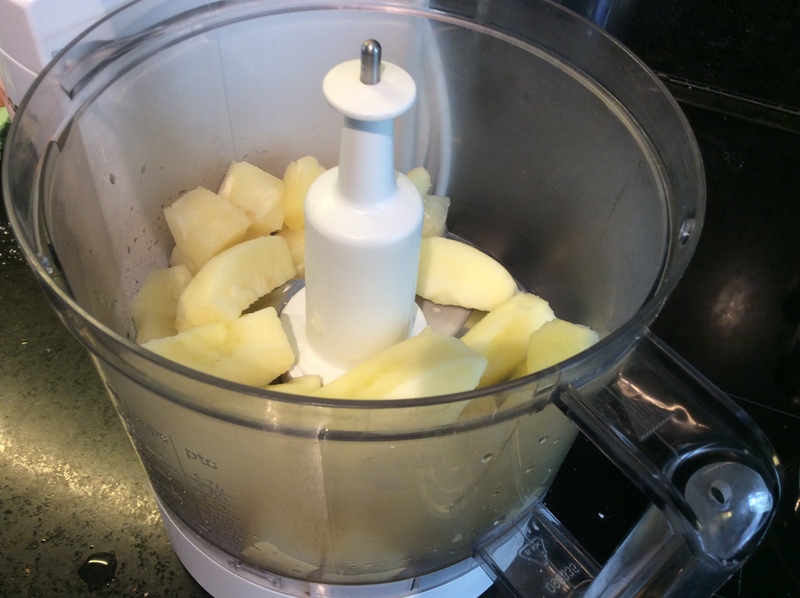 Peel the apple and either use drained tinned pineapple or chopped fresh pineapple and chop in a food processor or grate if you haven't got a processor. Add to bowl. 6. 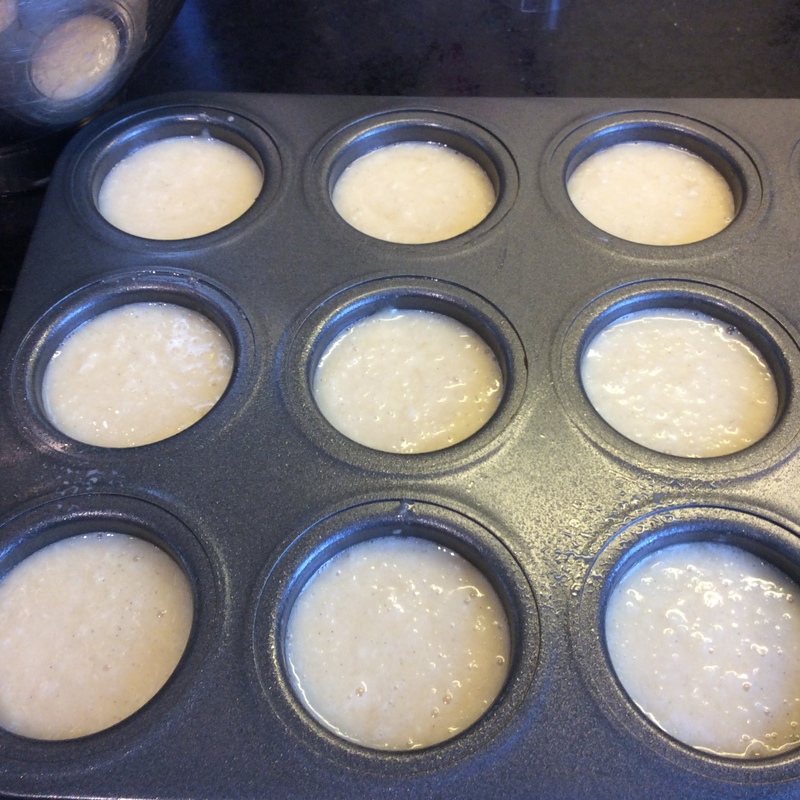 If using tins for cooking lightly oil with oil spray, or use cup cake wrappers in a muffin tin. Spoon mixture into tins or cases an ice cream scoop makes this easier to do. 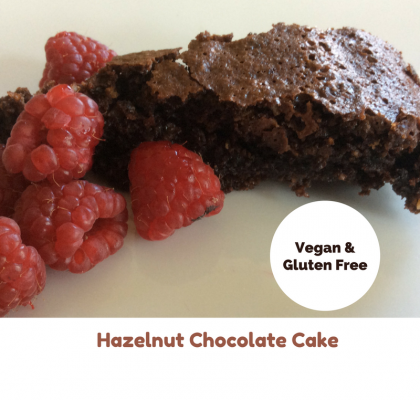 Only start this once your cakes are almost cool. You need to ice the cakes pretty quickly after the icing is ready as it will set pretty quickly. 9. 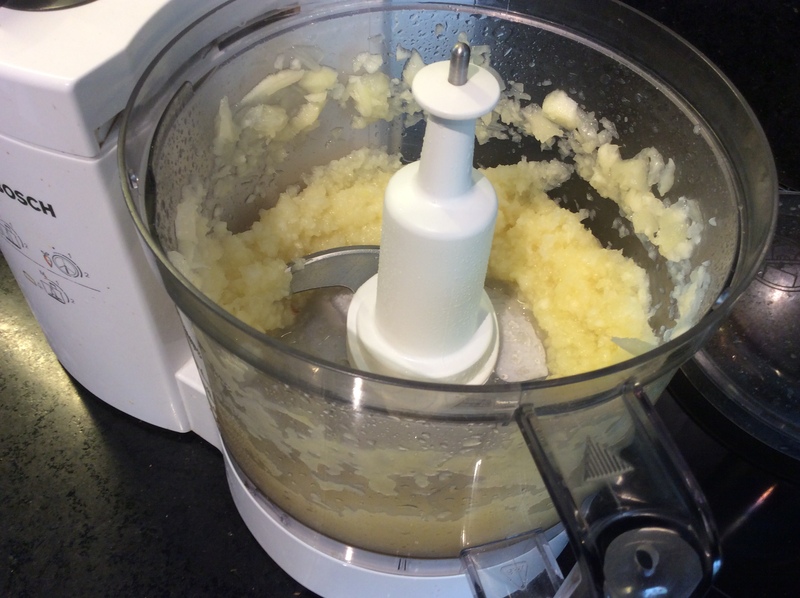 You will need a large heat proof bowl that will fit in a saucepan and a hand mixer to make the icing. Fill the sauce pan with a little water. Check that you can rest the bowl in the pan without it touching the water. Bring the water to a simmer. 10. Add all of the icing ingredients to the bowl and place it over the simmering water. 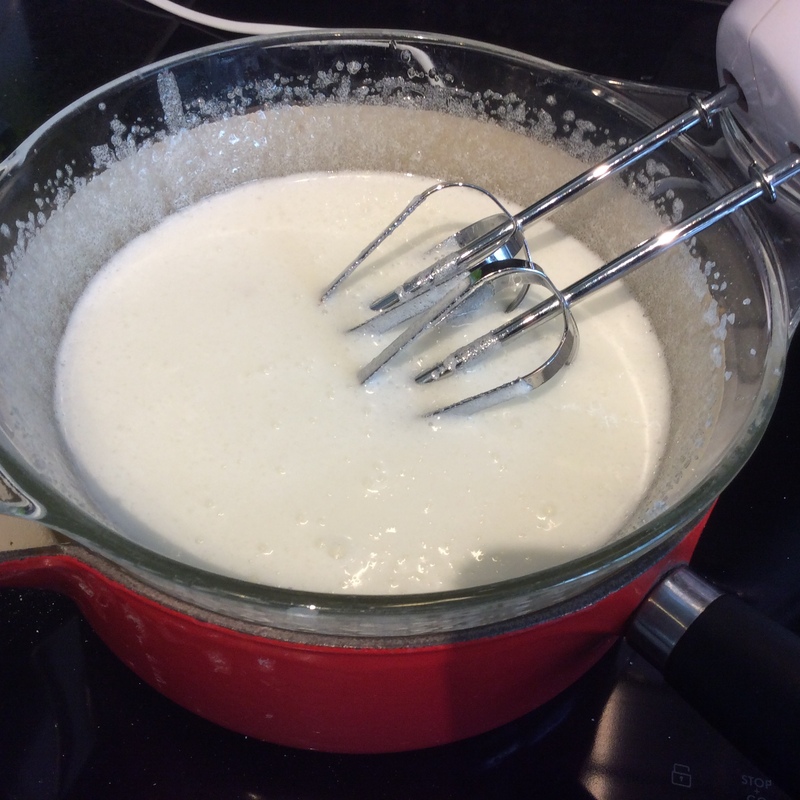 Whisk with a electric hand mixer. 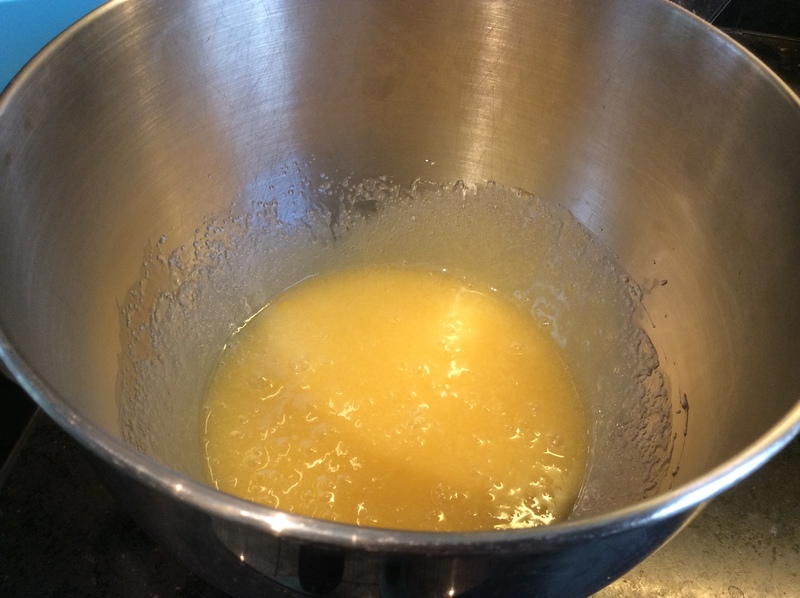 You need to whisk for at least 8 minutes. I needed to do my mine for 12 minutes, probably as my bowl was a bit small. You are aiming for a thick texture and one where you can taste sugar crystals. 11. 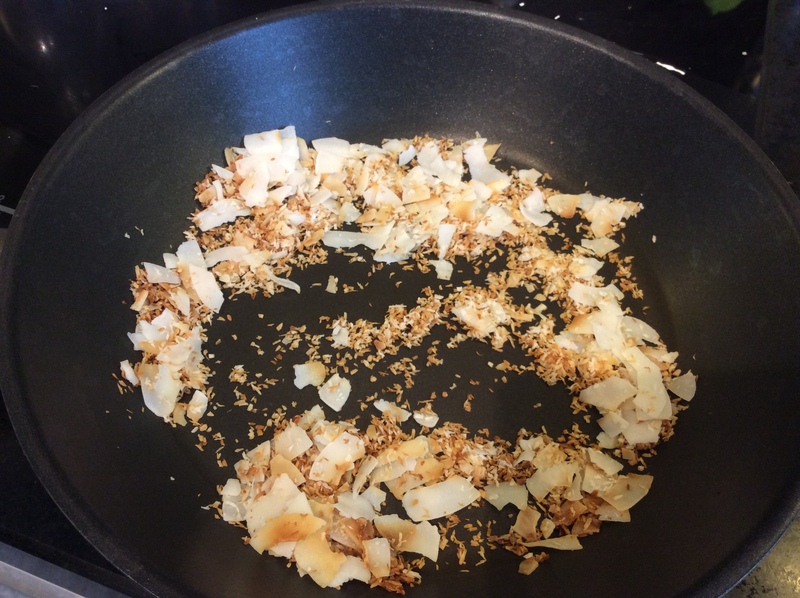 In a small frying pan dry roast some desiccated coconut. Keep and eye on it as it can burn pretty quickly. 12. 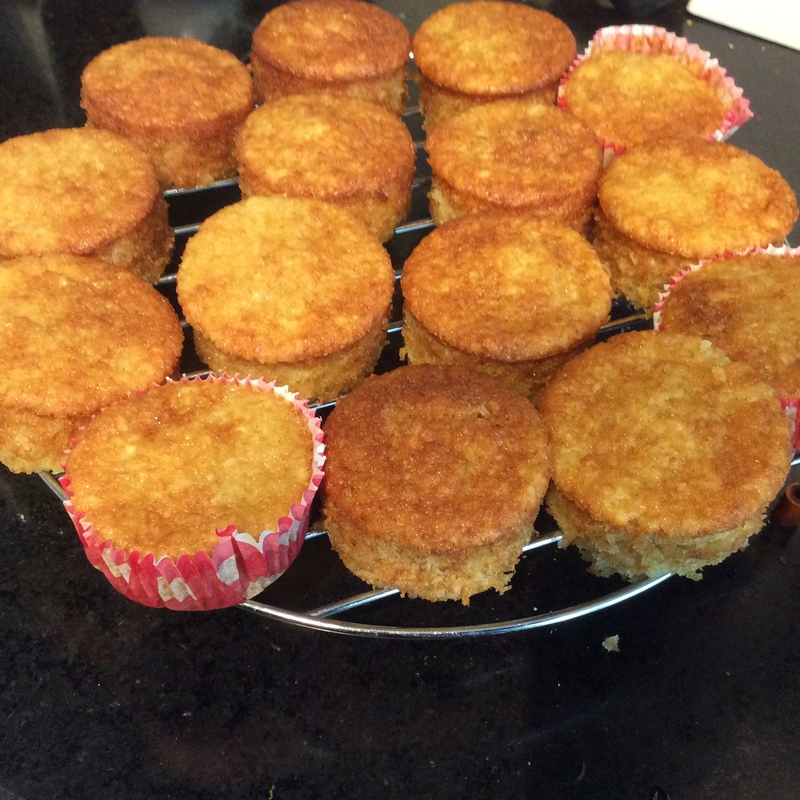 Spread the icing on to the sides or mini sponge cakes and you can roll them in the toasted coconut on the sides if you like. Then ice the tops and sprinkle with more coconut. Repeat until they are all iced. Leave to cool don't put them in the fridge as it will make then crack. 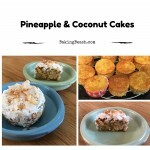 These Pineapple and Coconut cakes are deliciously moist and have a tasty meringue icing/frosting sprinkled with toasted coconut. The cake is an adaptation of my carrot cake recipe replacing the carrots with pineapple and using white rather than brown sugar. I only had tinned pineapple but I’m sure they would taste even better with fresh. 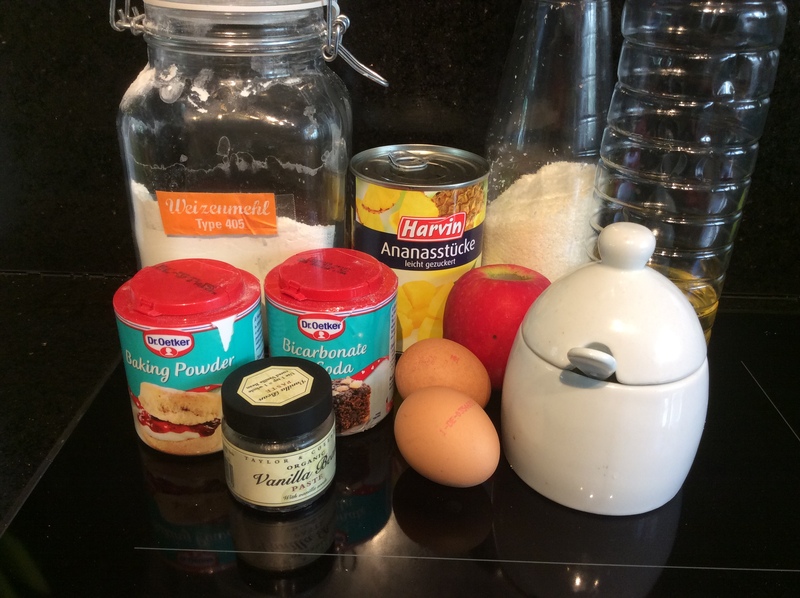 You could use this mixture to make either mini sponge cakes or cup cakes or even two larger sponge cakes that could be sandwiched together. 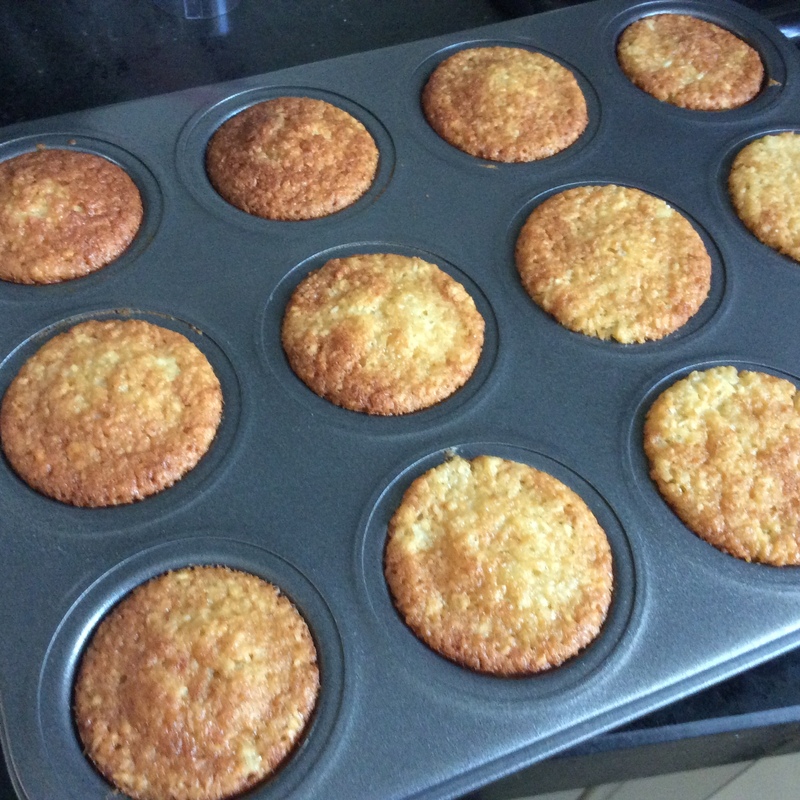 Cup cakes and min sponges take about 20 minutes to cook. For a sandwich cake you would need to cook them for a little bit longer. 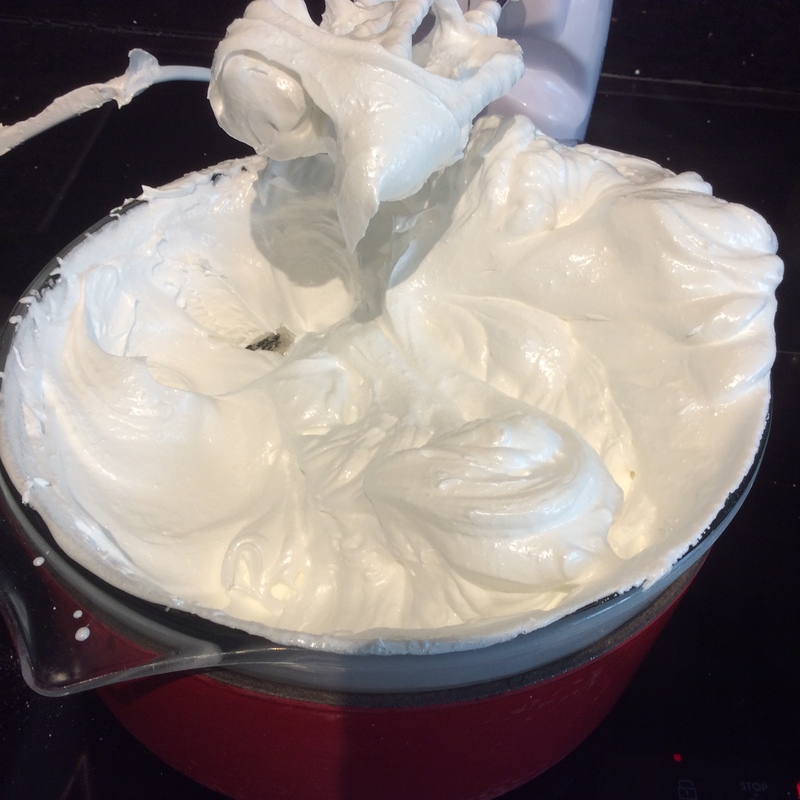 The meringue icing was inspired by this year’s Great British Bake Off. In one of the technical challenges they had to make Mary Berry’s Coffee and Walnut Cake. Coffee and Walnut isn’t one of my favourites but I loved the look of the icing. 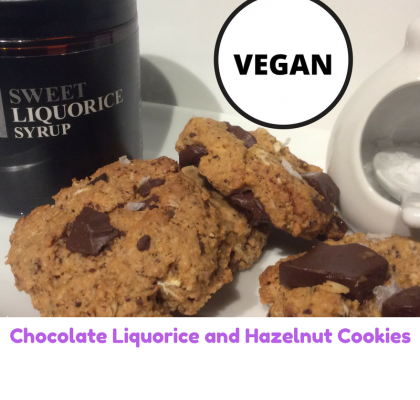 A big thank you to Mary for inspiring this combination. Next time I will use a bigger bowl as I got in a bit of a mess. It also is a great way to use up left over egg whites. 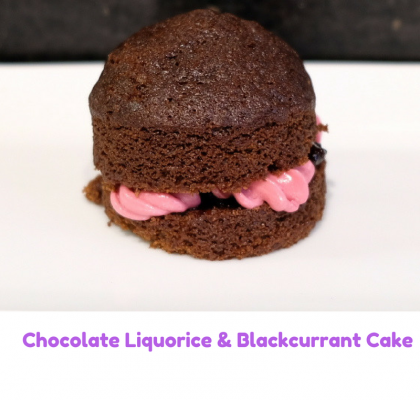 If you are only making cup cakes rather than mini sponges you would only need to use half of the icing mix. 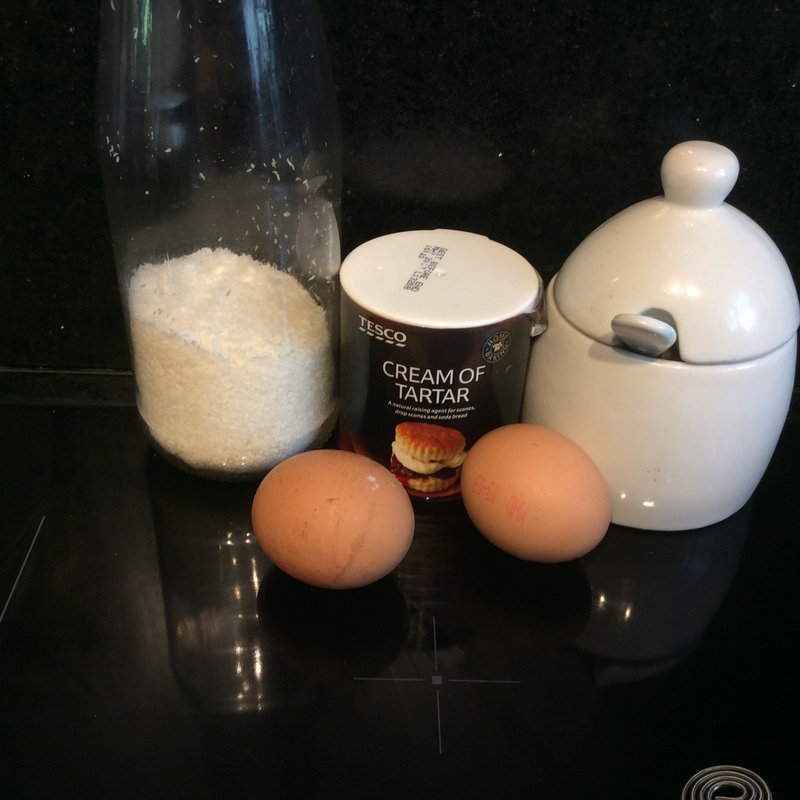 If you have some left over icing you can use it to make Eton Mess. Simply put the icing on some greaseproof paper and place in a cool oven for 20 minutes at 130 degrees Centigrade. After this time break it up into smaller pieces and leave it to dry out in the oven. The dried out meringue can be served with cream and strawberries and raspberries. 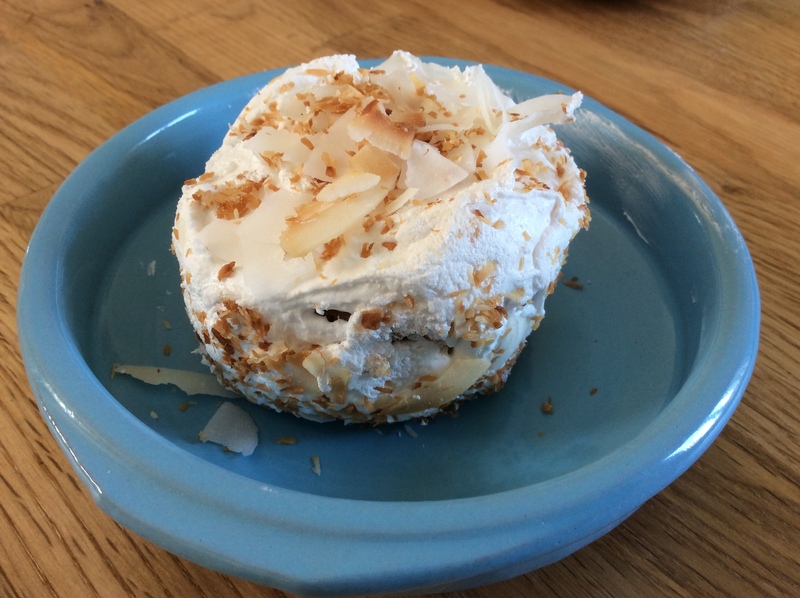 Jamie gave these pineapple and coconut cakes a 4 out of 5. He never gives a 5, so that’s a good endorsement. Dear Jane, we can only recommend your pineapple & coconut cakes. They were reeeeeeally yummie!! !